Another year for the Peachy Keen Stamps design team comes to a close. It's been a fantastic year of inspiration and getting to know all of the new design team members. We wanted to share with you our 3 favorite projects of the year (and perhaps even a new one). For details of the hop and a complete list of participants, you can check it out at the challenge site HERE. 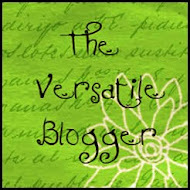 My blog is the first DT stop along the way. It was hard to pick just 3 favorites with so many fun and diverse stamps to play with this year. These projects I thought represented my style the best. 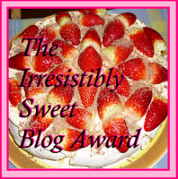 BLOG CANDY ALERT!! Thanks to our wonderfully generous Peachy Keen Queen, Kathy J., I will be drawing a winner from the comments for the PK-500 Snow Cuties Face Assortment! I have always loved this set for my snowman and gingerbread faces. To enter the drawing, just leave a comment and I will draw the winning name on Sunday. Please be sure to leave an email if you don't have one on your commenting profile. thanks and good luck! My first card features the sweet angel from the very first PKS Stamp of the Month kit. Details on the original post HERE. My second pick features a little punch art chick with an action wobble head! He's still one of my favorite punch art characters. Details on my original post HERE. My last pick features a sweet cottage cutz die in a new style of card called the "showcase". Details on my original post HERE. Ready for some more awesome projects? 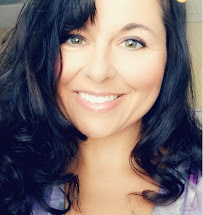 Head on over to Nikki's blog HERE. Such adorable cards!! The circus tent is really cute! Amazing cards! Such inspirations! Love the little chick coming out of the shell! I love your angel card so sweet. Kim, your projects always amaze me. The things you can do with punches are unbelievable. I've loved seeing what you've created. Congratulations on a wonderful year and thank you for offering such excellent blog candy.Here's to a wonderful 2013. Super DARLING cards!!! LOVE them all!! Thank you for a chance to win some fabulous stamps!!! I love them all...The angel is so very sweet. Yep! Those would be some of my favorite cards you've created, too! So happy I even got to see them IRL!! It's always a treat to visit your blog and see what you've been up to, Kim! This is so adorable....I love it...this year DT team was fantastic....Merry Christmas!! The cards are so darn cute and just adorable. Love the little cutie faces. That would be a cool set to add to my collection. Hope I win!!!! Kim, I've been admiring your punch art creations for a while now and your little critters are always so adorable. You might have been the one to "introduce" me to PKS...so thank you. The faces really bring the paper cutouts to life. Gorgeous work (the angle is MY favorite). 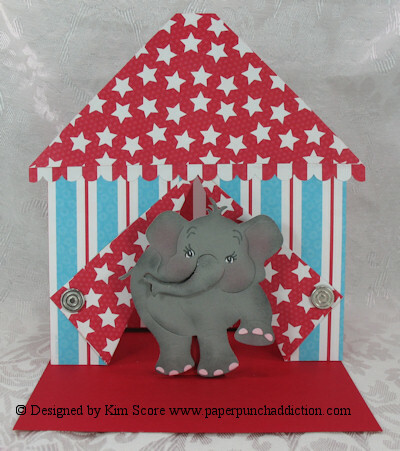 I LOVE that little elephant coming out of the Big Top! How fun!!! You are always so inventive with your projects! I just love to come to your blog for ideas. Thanks for the year of inspiration and I look forward to all the fun in 2013. This is such a cute set. Hope I win. Thanks for the chance. Oh my goodness that elephant is adorable!!! I love each one of these but that elephant is to cute!! Oh my gosh Kim - your work is just beautiful! I remember seeing that fabulous elephant and tent on the PK Connection blog and scrolling up again and again for "one more look"! You are one creative lady! So sad another year has come to a close. I can't wait to see what next year brings. I can see why those projects were your favorite...ADORABLE! Such adorable cards!! Gotta love that little ellie!! Love them all! Love Peachy Keen!! Can't wait to see what's new for next year. A big thanks to all the design team members for sharing project ideas. Thank you Kim and all the other Design Team members for a year of inspiration!! thank you for a year of wonderful inspiration, Kim and all the other design team members!! Merry Christmas! LOVE ALL OF THESE and oh so many more! Thank you so much Kim!! You are the bomb! I hope you and your family have a beautiful Christmas! BIG HUGS... and I love ya ta bits! I really enjoy your blog and love all the faces! 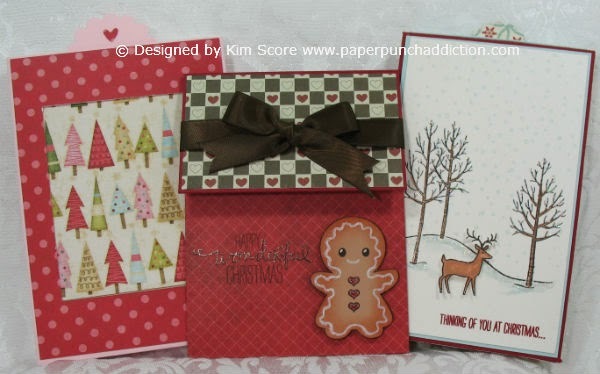 Whoever is lucky enough to win them will have a fun holiday gift & years of stamping fun ahead! Your cards are simply beautiful. Great Job. I like the elephant one coming out of the circus tent. I would love to win this set. Oh wow I just stumbled across your blog hop, your cards and the little faces are amazing I love them all !! All 3 projects were amazing! I just love the little elephant and tent. So cute!!! Thanks for sharing and for the chance to win!! These are all WONDERFUL! Thanks for a great year! Especially live the elephant and tent Easley card. Will have to give this a try. Good luck in 2012! Wow Just love these cards, I need to get working! Fabulous projects! I always LOVE seeing the spectacular things you create! I will miss this DT...they are so incredibly talented! These are so cute! I love your elephant card! Thanks for the chance to win. These are all too cute!! Love the angel card!! Absolutely adorable cards; perfect faces for what you've shared here as well as snow-and-gingerbread men. Cute as buttons!! While I'm sad to bid you a Peachy Keen farewell, I'm excited to see what future treats you'll share along your 'new' path. Thank you for all the inspiration. Awesome, My Kimmie!!! You do mighty fine work girlfriend!!! I can't wait to hop on over to the others and see what they have!! Thanks for sharing your talents with us!! Love, Deb O. Very nice projects! I love that little chick!! All of the projects are wonderful!!! Thank you for sharing all you do and share with us. I have learned alot from you. I love the peachy keen stamp faces. So many uses. I would be so happy to win this. Thanks for making all these cute things. Love all the projects. The angel in the clouds is my favorite. Well...I thought I was absolutely in love with the angel card, but then I saw the elephant one.WOW, they're wonderful. What adorable cards! And, what a great set to be offering to win. That is one of my favorite sets but I haven't gotten around to ordering yet. What a great early Christmas that would be. Holy PROJECTS!! They are all amazing!! Kim, you are so talented!! It has been amazing to be on this Design Team with you!! You never cease to amaze me with your amazing punch creations!! I hope you will continue to do well on your crafty adventures!! Love the little cutie faces as well. Such gorgeous projects you have chosen to showcase!! I have enjoyed seeing all your beautiful and inspirational talent this past year!! Thanks for sharing it all!! You do such wonderful work that it would be hard to pick just one favorite...but of the 3 you chose, the angel would be my pick! Thanks, as always, for sharing. OMG! I love all your cards, you did an awesome job, thanks for sharing. I love the angel card. Thanks so much for a wonderful year of peachy inspiration! All three are cute. Your posts always inspire me. After I get through the Christmas hectics, I plan to get busy. Thanks for sharing your talents! I was hoping to see the Angel in the clouds... that was one of my favorite cards of yours. Such cute creations! My favorite is the elephant one. These faces makes your cards too cute!! TFS! Such amazing creations! The elephant is so adorable! Thanks so much for all of the inspiration you provided while on the PKS DT! Kim you are a super star paper crafting. I hope all the project that you made. Thanks for the great ideas that you show. Kim, you are so talented and have loved seeing how creative you can get!! Loved your angel pop up card, your chickadee wobble card, and you oh so wonderful standup elephant one, too. Yikes! I don't know if my entry made it thru or not, so here I go once more! Love all the cute sets. Merry Christmas and hopes for a better 2013! Thanks Kim for all of your inspiration and for sharing your talent with us all. Merry Christmas. Wonderful choices Kim! Have so enjoyed working with you this year! Thanks for all the inspiration!!! Really cool cards! My favorite is the elephant. You are very talented! very cute cards. i love peachy keen stamps and appreciate the opportunity to win the snow cuties. Love these cards. I think my favorite of the 3 would have to be the big top with the elephant! Love those bright colors! Great cards, great ideas, great colors. Who can ask for anything more. How darn cute! The elephant is my favorite, but they are all wonderful creations! Your cards are adorable and you do such a wonderful job coloring them. 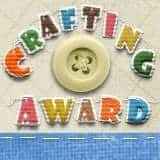 What fabulous projects to select and your favorites, all 3 are just too cute! Merry Christmas to a seriously talented bunch of ladies! Cute cards but I think my favorite is the elephant. Love the dimension in your cards! Love all the little faces you used on your projects! scrapbooker27@hotmail.com I love your designs and I love peachy keen designs. Thanks for sharing your always fresh new looks. I love my sweet angel stamp. She looks just like one of my granddaughters (to me). I'd love to win some faces as I never know I'm going to need one, until it's too late. Thanks for the chance. 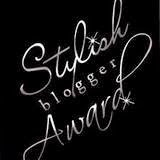 Always love your blog. Thank you for all you do and all the great ideas you gather and put in one place. I am just starting to get the cute face stamps and would love to win! There are no other stamps that bring images to life like Peachy Keen stamps ... these adorable cards certainly reflect that. Love Peachy Keen stamps and love everything you do with them!!!! Such cute cards!! Love the elephant! Thanks for a chance to win those cute faces!! Great cards! Love the sweet faces! I'd love to try Peachy Keen stamps! I'm ashamed to say I haven't any! Kim I always appreciate the talent you share with us. May you have a beautiful Christmas. I love these daily emails that we get sent and all your creations. Such cute cards! Thank you for sharing all your wonderful inspirtation this year and always!! I have several of your cards pinned & I think this angel card is one of them. All are super cute. Love them all, but the angel is my fav.......Thanks for sharing! They are all cute, but my favorite is the angel....thank you for sharing! Adorable cards. Love the faces. Thanks for the chance to win Peachy Keen Stamps. love love love all the creations, esp when i get so much more use out of my faces and punches!!! You make the sweetest cards with Peachy Keen faces. I love your site and I visit it a lot. You are so creative and I love punch art. The Peachy Keen faces give everything such character and I think they are just great as well. Thanks for sharing too. Kim, thank you for such a wonderful website! I love the variety you share with us! Those are all so cute!!! But I just LOVE the angel and those clouds are perfect! She totally looks like she's floating. THANKS FOR A WONDERFUL YEAR OF CREATIVITY!! I always enjoy the creativity your bring to the team Kim! Your projects are amazing!! The angel is so precious! Love that cut!!!! Beautiful work! I wish I had your ideas in my head but I just have to copy so keep up the wonderful designs.